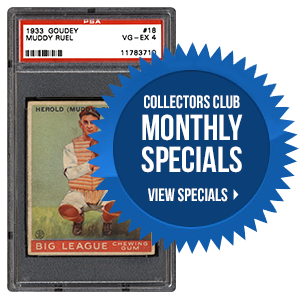 What the 79-card 1960 Fleer Baseball Greats set lacks in overall size it more than makes up for with legends such as Babe Ruth, Lou Gehrig, Cy Young and, as the only active player in the set at the time, Ted Williams. 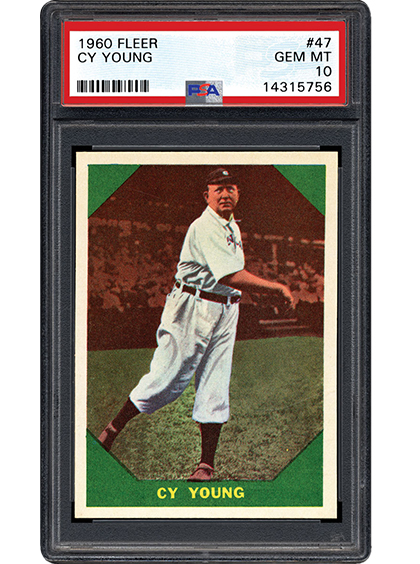 The issue continues to spark strong interest for many collectors on the PSA Set Registry, who consider it a truly great offering. Read more in the following piece. Welcome to the Pokémon Jungle! 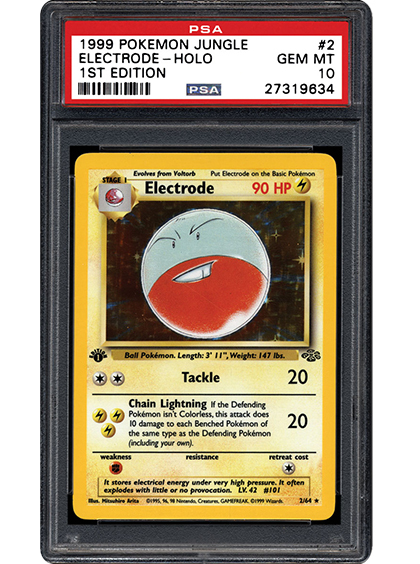 In the following piece, SMR breaks down the 1999 Pokémon Jungle 1st Edition set which offers it share of "fun and games" for collectors. Read this detailed feature to discover the highlights – including the cardboard debuts of Flareon, Jolteon, and Vaporeon – and nuances of this essential early Wizards of the Coast Pokémon set. A reprint of the 1952 Bowman U.S. Presidents issue, the 1956 Topps U.S. Presidents card set employs the same artwork but with some changes to the text and design on the backs. 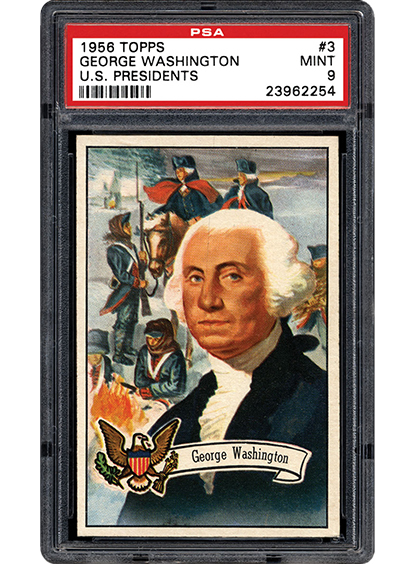 Despite the repurposed design, however, this set still manages to rank amongst the most popular vintage presidential card issues due to its overall aesthetic appeal, historical value, availability, and modest size. Learn more about this 36-card offering in the following SMR article. 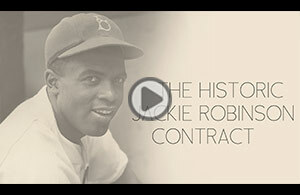 What best describes your take on the 1960 Fleer Ted Williams card and its current market value? We want to thank you all for your patience and continued support while we work on processing the many new set requests and new slot requests you’ve all submitted. As a note, if you are submitting a Non-Sport set request and you have a complete checklist (or source for a complete checklist), please feel free to list this information in the Comments section of the request form. This will save time and help to get your requested set online sooner. We will continue to update the Set Requests web page frequently in the coming weeks. Should you have any questions, please feel free to contact us at [email protected].